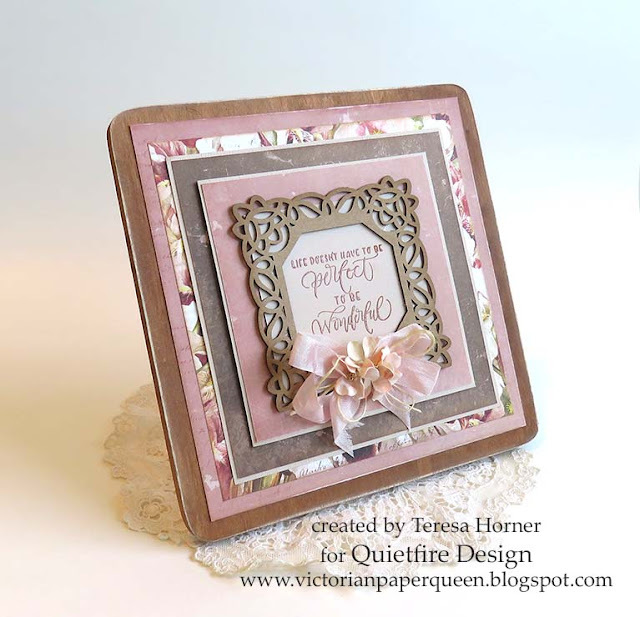 Today i have another share from the brand new stamps just released from Quietfire Design stamps. This is one of my favorite stamps called "Veni, Vidi, Amavi" from the set so i paired it with a really pretty ornate chipboard frame and then used Prima's new Lavender collection for the papers. 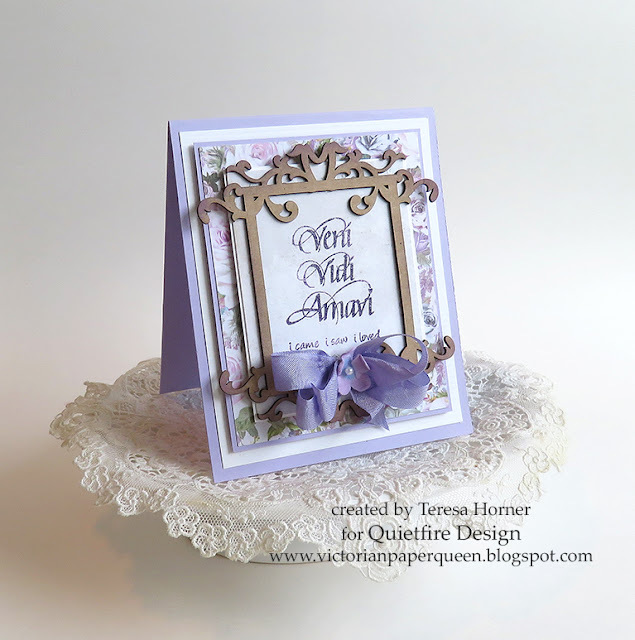 Since all of it is so ornate already i kept the card design simple and added just a touch of purple to the chipboard frame i used and a pretty bow and flower to finish it off. I love easy and this stamp is so beautiful my card will be perfect to send to my friend. 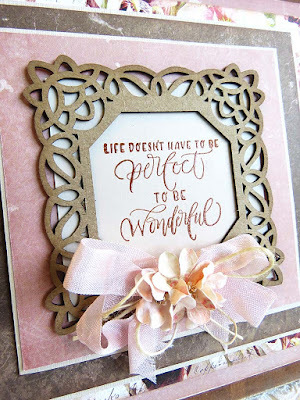 And i have a second project to share with you today using another of the brand new release stamps called "Life doesn't have to be perfect". For this project i wanted to make a frame to decorate in my house so that it would remind me each day of how truly wonderful life can be if you look at it in a different way than being perfect. I used a small wooden frame that i picked up for $1 and painted it both front and back in brown and then sanded the edges and let it dry. Then i cut Bo Bunny papers to fit around the chipboard sentiment to make it pop more and glued them together. For the stamp i used Versafine ink in brown and embossed it and then chalk inked around a chippy frame from GSLC and glued that together. Then i glued all of it to the frame and added a pretty bow with some twine and a few flowers from my stash. Super easy and super fast to make. Something like this would be a great gift for a wedding or you could use one of our cute birthday stamps too! Thank you so very much for stopping over today!